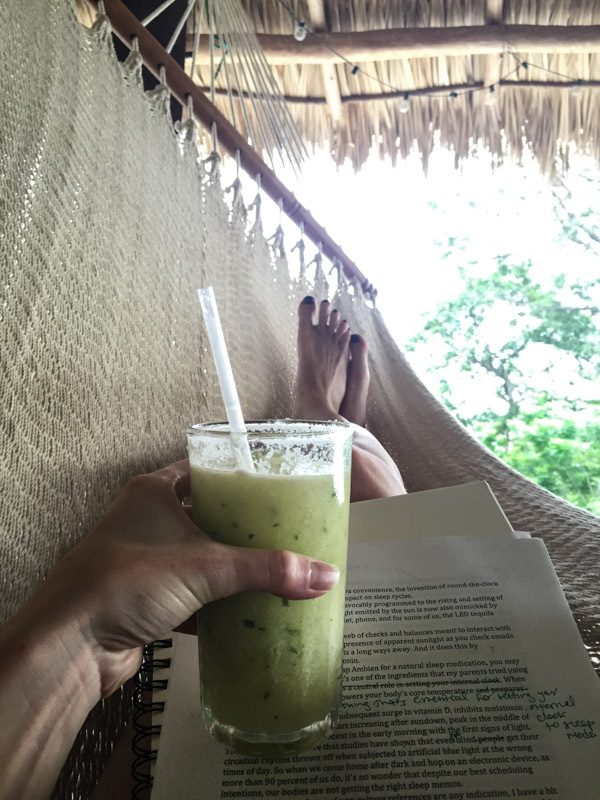 I first came into contact with this tropical pineapple smoothie in Nicaragua, which, given the strong beach and jungle vibes, is not the craziest place in the world to find a tropical drink in your hand. If you follow me on Instagram, you may recall a spell in October in which I posted impressive pictures of myself galloping on horseback, holding a surfboard while standing semi-upright, and attempting to edit my book in a hammock without fully falling prey to that seductive temptress, relaxation. If these vignettes are any indication, the trip was a mix of work and play. 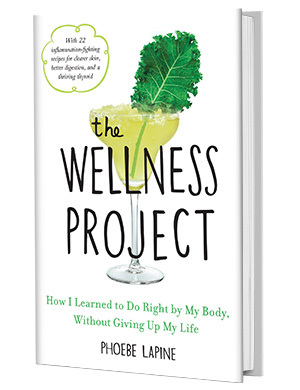 I more or less managed to put blinders on and plug through a few chapters of my book while those around me, who were already engaged in relaxation’s minxy little games, sipped watermelon rum cocktails over rounds of jungle croquet. But I also indulged in my fair share of beach activities and fruity concoctions. The setting of all this healthy hedonism was Maderas Village, a gram-worthy boutique eco-lodge if there ever was one. Tucked away on a hill overlooking the famed surfing beach of the same name, the village is made up of large thatched share houses and smaller, private casitas—all furnished with the type of rich, hand-crafted woods that every neo-Brooklynite dreams of. Its hospitality is manned by an intimate group of attractive creatives who left their day jobs behind in New York, Los Angeles, Toronto, etc. 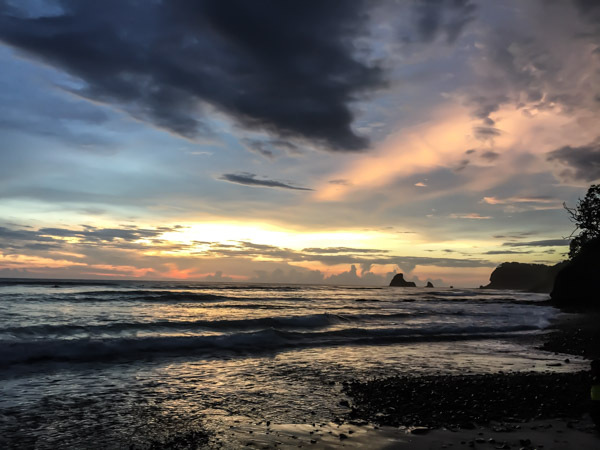 to live the good life (or, #MaderasLife, to be exact) and lure other like-minded souls down to San Juan del Sur to do the same. 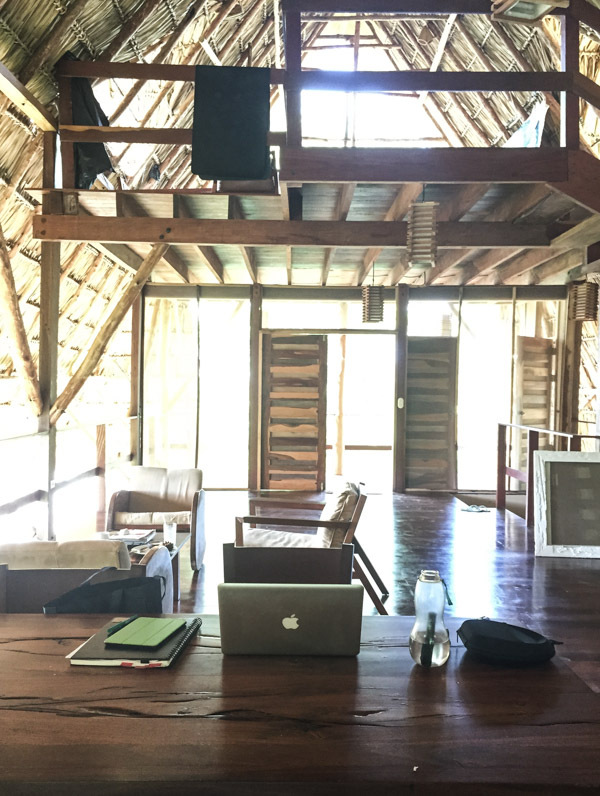 Since last year I basically took any excuse to log manuscript pages outside the exotic locale of my studio apartment, I didn’t need much convincing to embark on my own creative retreat in Nicaragua. 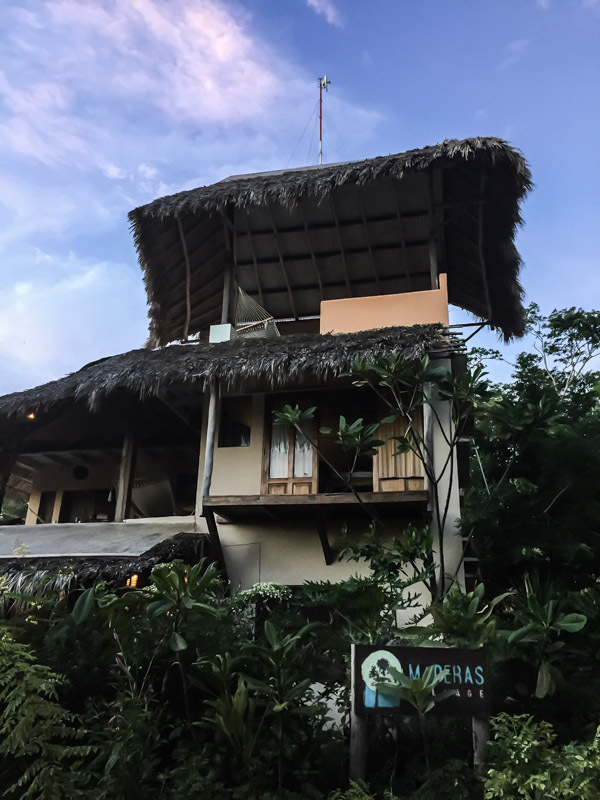 Though not exclusively for artists, Maderas Village often doubles as a writer’s colony for musicians looking to use the new, fully tricked-out recording studio on the premises. But for guests who didn’t go to Nicaragua to do anything productive (i.e. most), those same communal vibes are part of the appeal. While breakfast and lunch is served a la carte, every evening people gather around one shared table for a family-style meal. And even if you’re not using up precious brain cells on word choices throughout the day, the escape from excessive decision making is one of the best parts of the village as a vacation destination. In many ways, Maderas has all of the benefits of a hostel (affordability, fun), without all the pitfalls (twenty-one year olds, Ikea bunk beds) that make this style of travel unsuitable for people in the next “stage of life.” Unlike all the European shared rooms I frequented in my early twenties, the village wasn’t just a stop-over–a place to lay your head and pick-up cute Australians at the bar; it was its own self-contained experience. And one of the things that made said experience so seamless and awesome was the food. Nicaragua, as a country, is not known for it’s culinary marvels. 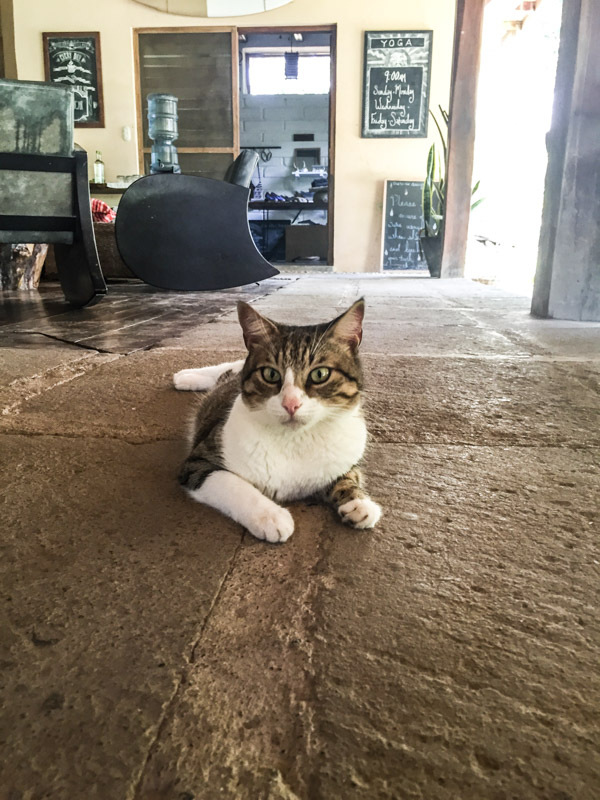 For the most part, the cuisine is centered around simple Latin American staples like rice, beans, and fresh grilled fish from the bordering waters. There were a few good places to grab a meal in town (more on those soon), but the variety that Maderas offered—including a valiant attempt at tropical sushi!—gave me little reason to leave. In order to streamline the meals that weren’t decided for me, I mostly ate the same thing everyday: a Nicaraguan breakfast plate and green smoothie. 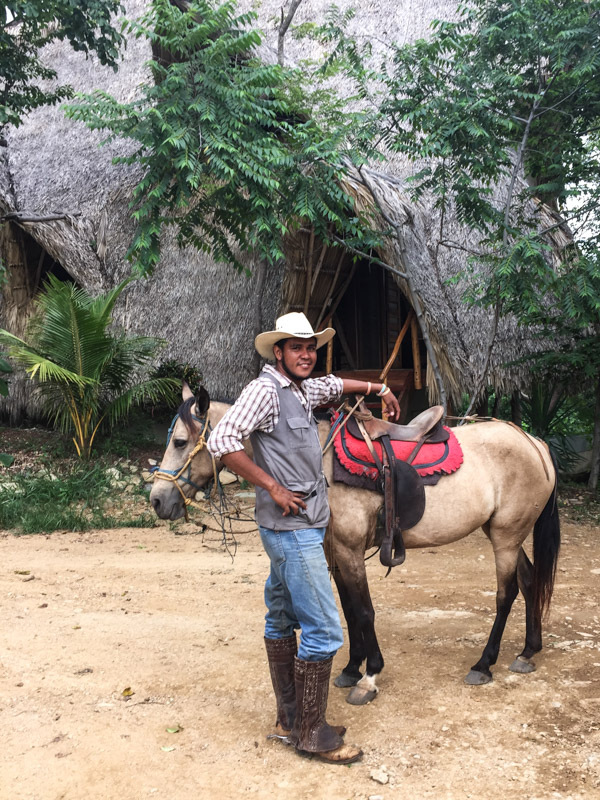 The “Nica Tipico” was pretty much the black mock-turtleneck and blue jeans of my daily food routine. It consisted of scrambled eggs with tomatoes, cheese and peppers, gallo pinto, simple potato hash browns, sliced avocado and crispy bacon. 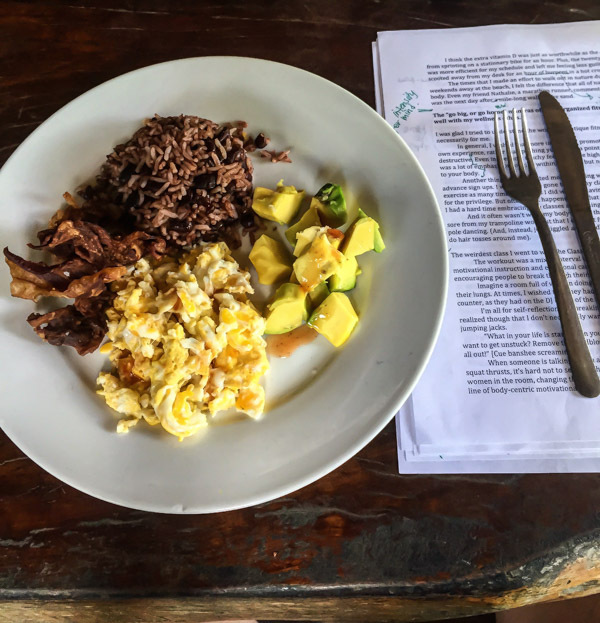 Basically, anything you would ever want on a breakfast plate, plus a few pieces of Nica flair. This tropical pineapple smoothie recipe though (which I recreated immediately upon my return) that was the most well-loved taste of my trip. Usually, I add all sorts of sweet, creamy fillers to my morning concoctions–like banana, yogurt, peanut butter…or all of the above. But the Maderas Verde was more like a green juice in smoothie form. 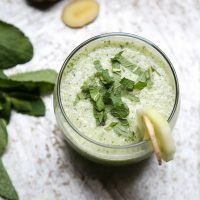 The cucumber, pineapple and mint gave it a refreshing spa-like mouth feel, while the ginger added a spicy little kick. I’m sorry I waited until after the first snowfall to bring you this bright tropical drink. 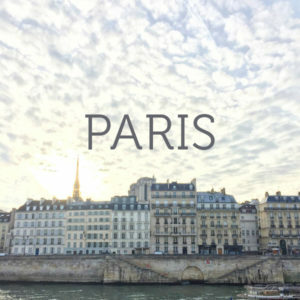 But in the wake of cold-induced wanderlust, I thought it would be the perfect way to tastetrot back to better, warmer times. And, it just so happens to be #culinarytravelweek! My friends (and fellow Saveur Blog Award nominees) over at The Funnelogy Channel put together this little virtual party dedicated to travel tales and favorite dishes from the road. You can check out all the other recipes around the web here. 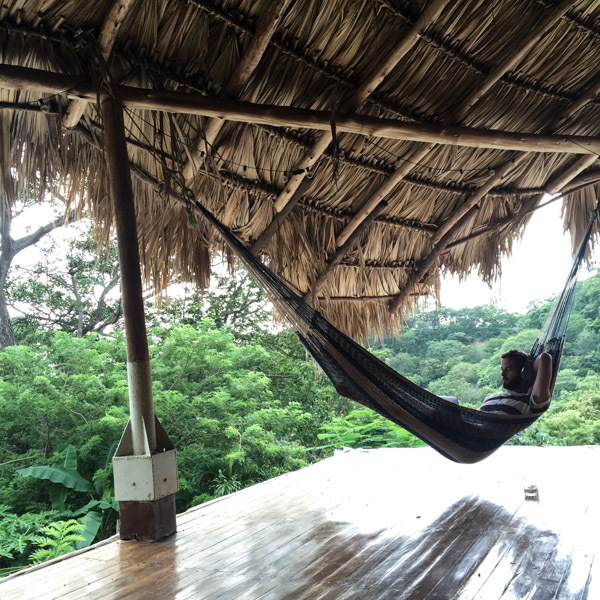 Stay tuned for my definitive healthy hedonist travel guide to Nicaragua coming soon! 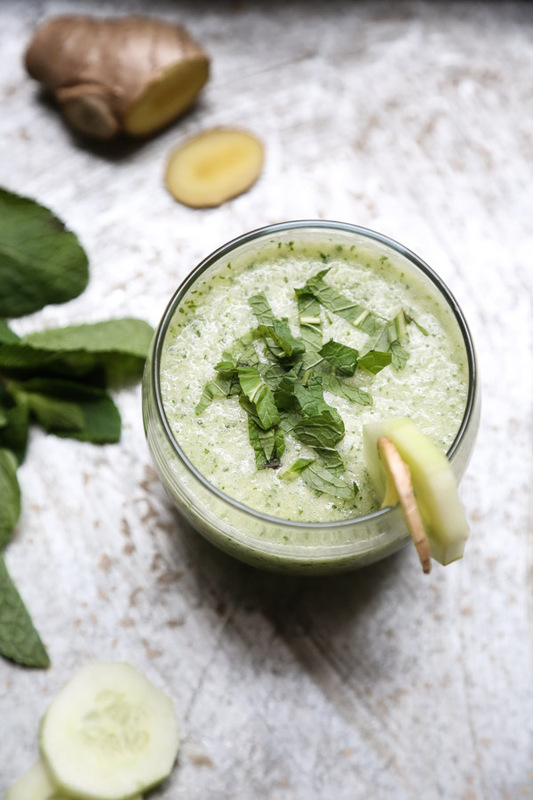 This pineapple smoothie recipe is so refreshing for a summer day! 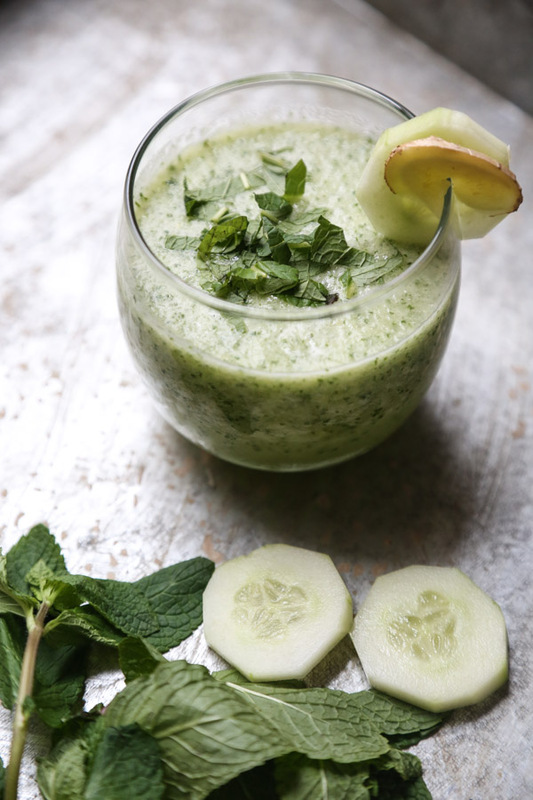 It's packed with mint, ginger, and cucumber. 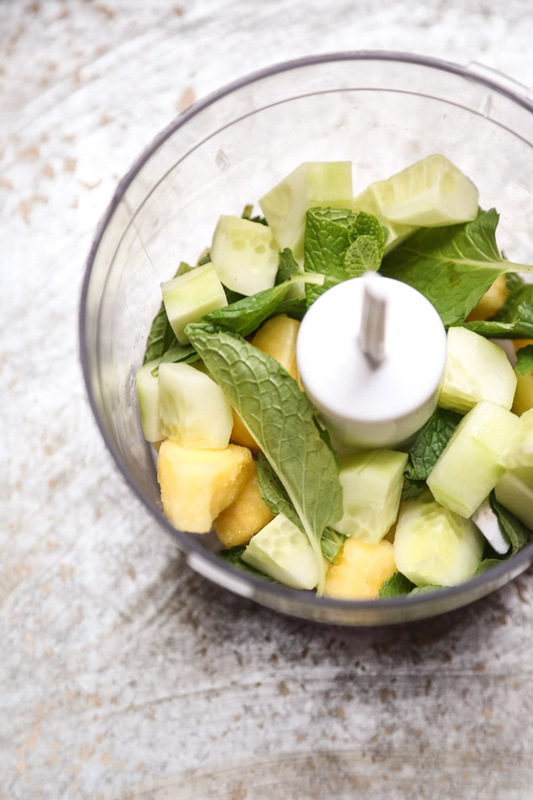 In a food processor or blender, pulse the pineapple, cucumber, ginger, and mint until finely chopped. Add the coconut water and puree until very smooth. 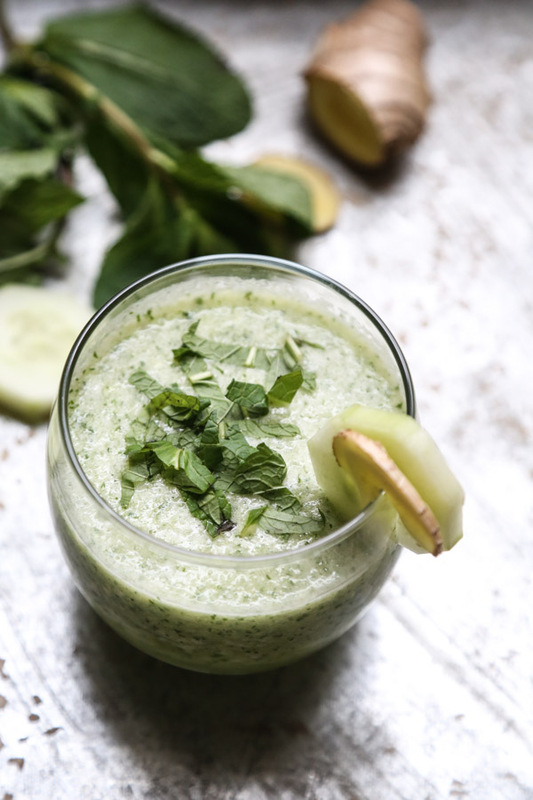 Add more coconut water if you like a thinner smoothie. 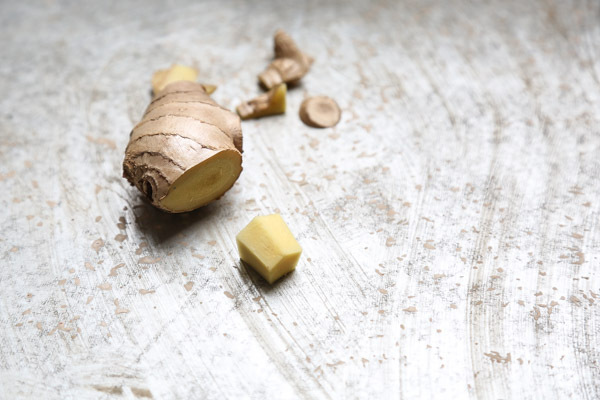 Pour into glasses and garnish with sliced ginger and cucumber. What a neat trip. I love your photos! That smoothie looks so refreshing. 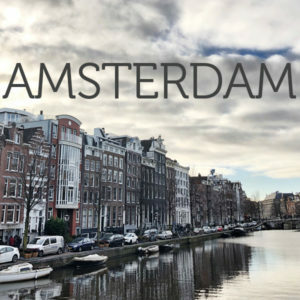 “has all of the benefits of a hostel (affordability, fun), without all the pitfalls (twenty-one year olds, Ikea bunk beds)” <— hhhahahah yes to this. 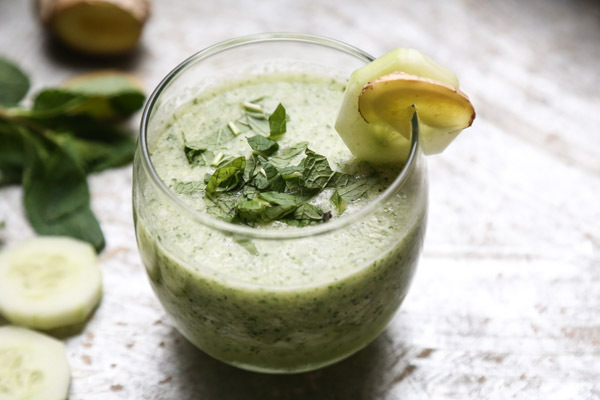 Also love the idea of pineapple + ginger in a smoothie! Thank you for the yummy idea and all the wonderful pictures you shared with us. Have a beautiful day Phoebe! amazing recommendation. I will check out Jackie right now! thank you!! !